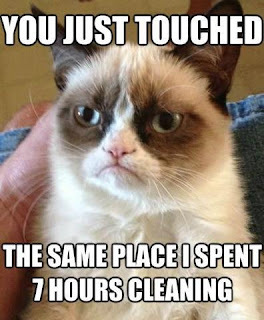 Tara has graciously given me permission to post a couple new Grumpy Cat memes that cracked me up on Facebook this morning. Oh, how I love Tardar Sauce!!! 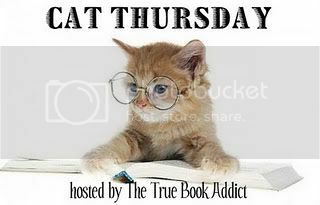 I think most of us have had a cat like this...for us it was Iris the albino calico. Love them all. I totally agree with Tard on that last one. 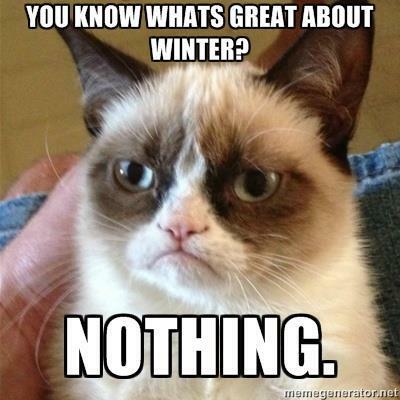 I'm so over winter! I love Tard..he always makes me giggle! Well we are in the middle of summer here, and I have never experienced a blizzard, but I wish you well. 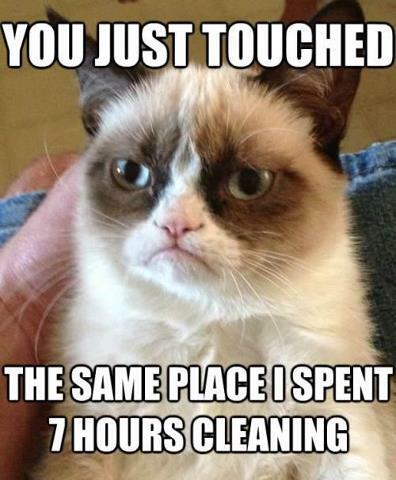 The cleaning one I get! I don't know why we bother if someone's going to just come along and touch it! tee hee.